The final collection from Aromaleigh v1, previewed and debuted on various blogs in the second half of June but not made available for purchase until after the announcement of the company’s closure. Samples were only available as the full set, while the fullsize jars were available individually. 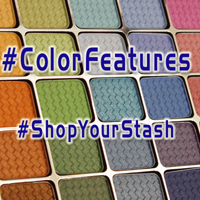 These colors were available through the blog, rather than through the regular site, to streamline the time required to program them all into the Aromaleigh v1 online storefront. I did not take advantage of the "blogger offer" for a promotional sample set, but now I'm almost wishing I did, since it's going to be the final collection. (Live and learn...) I was initially leery of choosing any fullsize colors from this collection, simply because I already have so many; but I did find some that looked just different enough that they'd make good additions. I chose to buy Alina, Elodie, Elysia, Loxy, Meliora, Naida, Sorette, and Trixy. I had initially shortlisted Cleantha, but after looking at some other swatch photos I decided against any of the oranges...though Luella was in the cart for a while. EDIT: I went back again. Yes, again. Ordered Annysia, Emerenta, Liriope, and Luella. In terms of overall color and pigmentation levels, this collection reminded me of TSS' earlier collections, particularly Cinderella Dumped Her Fella. 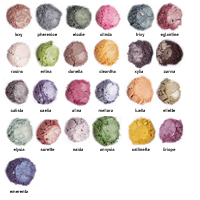 The colors ranged from medium-light to medium-dark, there was a goodly amount of sparkle (my repotting area looked like several pixies had sneezed when I was done), and the pigmentation levels were a little lighter than some Aromaleigh collections - most notably the stock collections.